Rabbit anti Human, Mouse WWOX. Product is tested for Paraffin Sections, Western blot / Immunoblot. 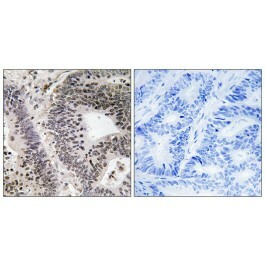 Immunohistochemistry on paraffin sections: 1:50~1:100. WW domain-containing proteins are found in all eukaryotes and play an important role in the regulation of a wide variety of cellular functions such as protein degradation, transcription, and RNA splicing. This gene encodes a protein which contains 2 WW domains and a short-chain dehydrogenase/reductase domain (SRD). The highest normal expression of this gene is detected in hormonally regulated tissues such as testis, ovary, and prostate. This expression pattern and the presence of an SRD domain suggest a role for this gene in steroid metabolism. Bednarek AK, Laflin KJ, Daniel RL, Liao Q, Hawkins KA, Aldaz CM. WWOX, a novel WW domain-containing protein mapping to human chromosome 16q23.3-24.1, a region frequently affected in breast cancer. Cancer Res. 2000 Apr 15;60(8):2140-5. PubMed PMID: 10786676. Ried K, Finnis M, Hobson L, Mangelsdorf M, Dayan S, Nancarrow JK, et al. Common chromosomal fragile site FRA16D sequence: identification of the FOR gene spanning FRA16D and homozygous deletions and translocation breakpoints in cancer cells. Hum Mol Genet. 2000 Jul 1;9(11):1651-63. PubMed PMID: 10861292. Bednarek AK, Keck-Waggoner CL, Daniel RL, Laflin KJ, Bergsagel PL, Kiguchi K, et al. 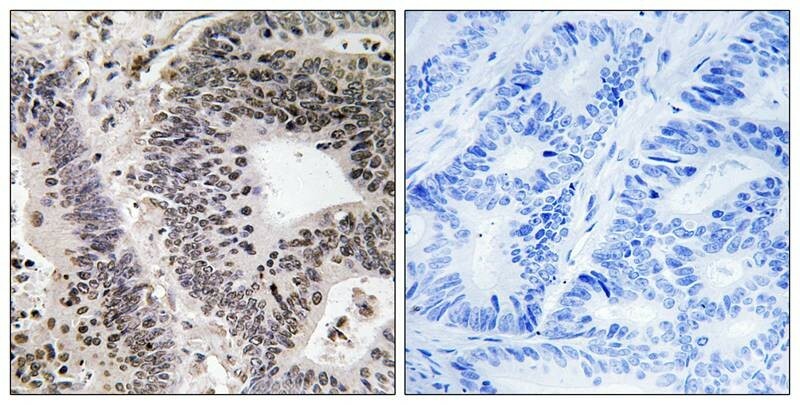 WWOX, the FRA16D gene, behaves as a suppressor of tumor growth. Cancer Res. 2001 Nov 15;61(22):8068-73. PubMed PMID: 11719429. Upon receipt, store undiluted (in aliquots) at -20°C. 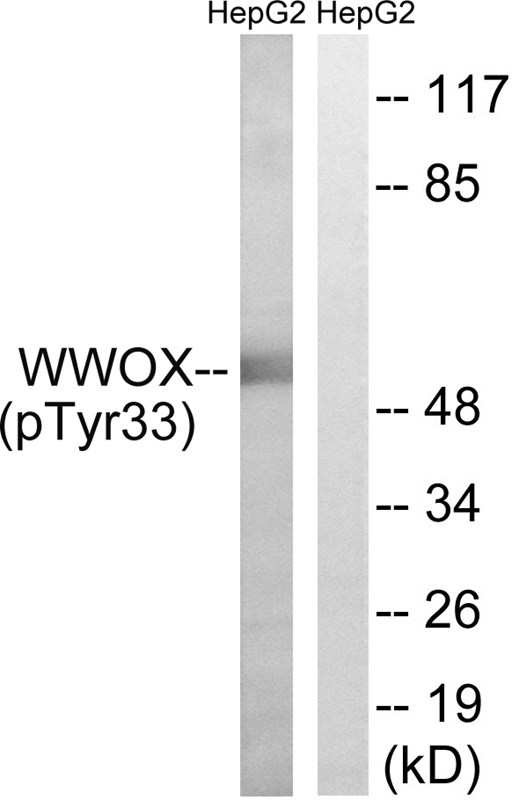 The antibody detects endogenous levels of WWOX only when phosphorylated at tyrosine 33.